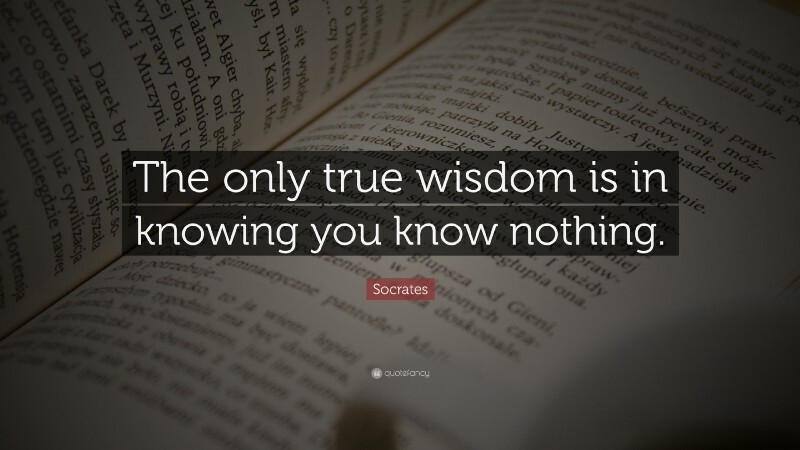 Are you the one who knows everything? Two months ago I thought I know everything on the job I’m doing but actually I’m not. N-number of persons out there thinking in the same way. Thinking that we know everything, is that correct or at least is it helpful? If we ask ourselves that “Do I know everything?”. The answer will be definitely NO. In this situation what exactly we should do? I actually figured it out on my own in the past two months by self evaluating myself and initially the result I found was terrifying! Seriously it was a terrible result. But later I realized what I should do. I doesn’t know everything (expected result). I was unaware of latest techniques. Or I knew it’s existence but I’ve never worked on it. I was in a comfortable zone. I know the things what’s needed for my work, nothing more than that. In order to overcome this psychologically, we need to concentrate on the highlighted areas of my findings. So, here I’m going to explain what I did to surpass this “I know everything” attitude. This is the first step you should take to evaluate yourself. Analyze the market. Get to know about trending events and latest technological advancements in your profession. I believe we should not compare ourselves with others as we all are unique and gifted with talents. But if we are not advancing with current world we could be replaced (Automation stuff? I leave it for your imagination). Reanalyze the work you do and research the ways that how it can be improved with cutting edge technology also you can consider parameters like cost, time frame to complete a job and availability of resources. If you investigate your work with modern approach you might come to know that “You actually doesn’t know everything!”. The second step – Perceiving things with the understanding of you doesn’t know everything will open curiosity or at least you will be able to start consuming new information. Like this cup, you are full of your own opinions and speculations. 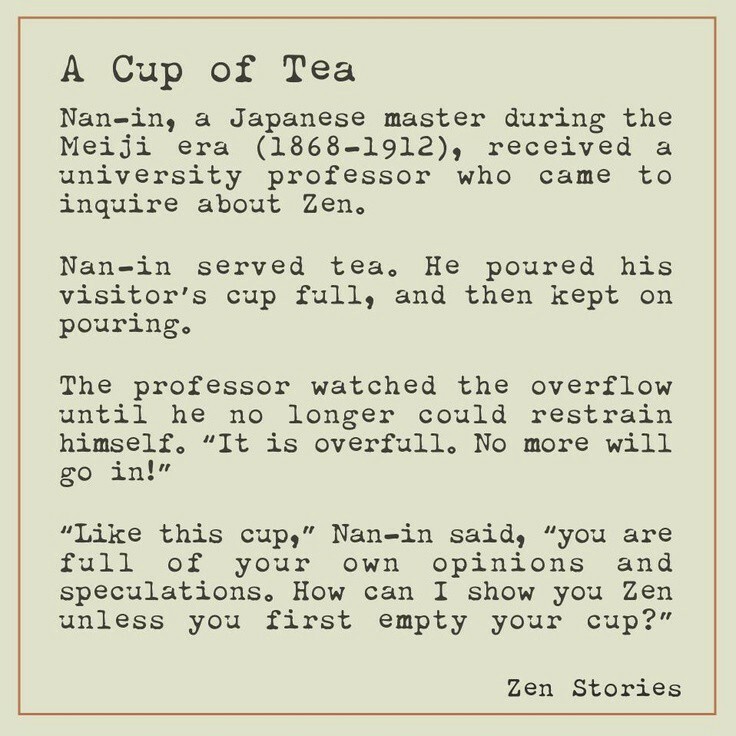 How can I show you Zen unless you first empty your cup? By reading one will improve his/her knowledge. Get out of your comfortable zone. Read various articles, blogs or even books. Accumulate knowledge. Get to know the trends in your profession. Get to know the various ways of accomplishing your job. Have list of ways to complete it. Take decisions. As you learnt many things now you can take Rational decisions (The Human Power). The final stage — Knowing the true self. Now I believe in this stage you might be thinking, “I might have wasted much amount of time just by thinking that I know everything. But in reality I know something or even nothing. I have to start Learning”. This is the true self. In this earth everyone knows something and we are surviving with the knowledge we have. Only the people who all are realizing that they have to keep on improve themselves in order to achieve what they have to achieve. And those people are called as winners of life. If you look back in history, the successful people always know what they have to do, but how did they know? They knew that “they don’t know everything” and they never stopped improving themselves. Now it is your turn to improve yourself. Go ahead. Working as a Software Engineer. Thoughtful writer.